Rebuilt with parts cannibalized from other DECEPTICONS, MEGATRON rises once again to lead his army. Though the AllSpark destroyed him once, he can now feel its power coursing through his circuitry. It calls him to seize his rightful place as ruler over the puny planet on which he was imprisoned and destroyed, and from which he will launch his conquest of the universe. 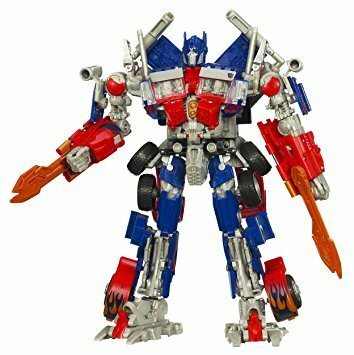 OPTIMUS PRIMEÂ® is all that stands between him and victory, and the AUTOBOTÂ® leader has done a poor job of hiding himself. At long last, MEGATRON knows exactly where his enemy is, and he has power enough to destroy him. Prepare for an exciting battle with this DECEPTICON leader! In robot mode, this mighty warrior features electronic speech and light-up eyes and chest that give away his diabolical intentions. 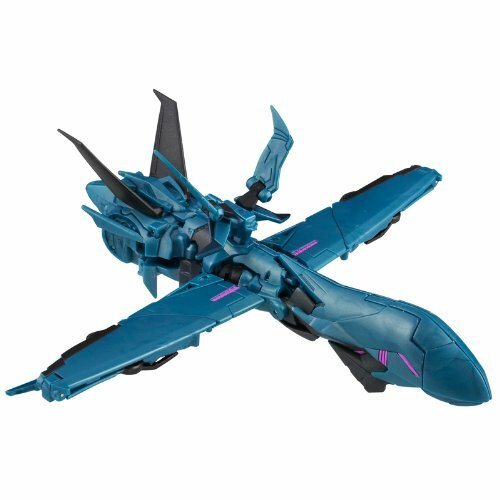 And with a flip-out sword, this bad guy is ready to give AUTOBOT forces the fight of their lives! In tough alien tank mode, a firing fusion cannon and blasting sounds lets attackers know this villain means business. MECH ALIVE gearing reveals moving armor panels and internal gears so you can recreate some of your favorite movie scenes â or create your own! Grab this fearsome foe and roll out! 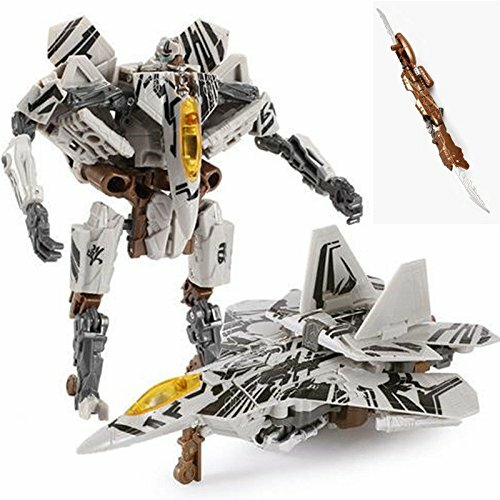 Note: The Starscream will be repacked in Neutral package!! Please pay attention! Thanks. 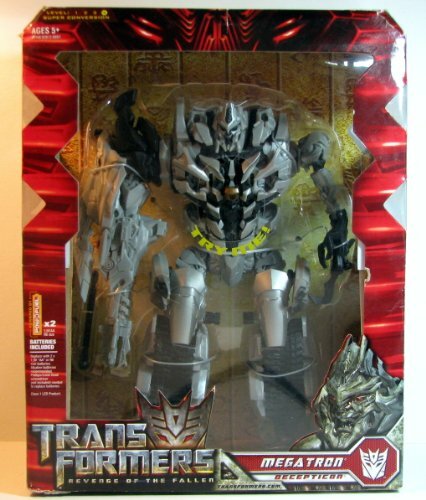 Description: l ACTION Movie Transformers ROTF Voyager CLASS Starscream marvel Figure . l Condition: 100% brand new and high quality. l Material: Plastic. l Type: Action Figure. l Size: approx 17-20cm high (6-9"). l Gender: Boys and Girls. 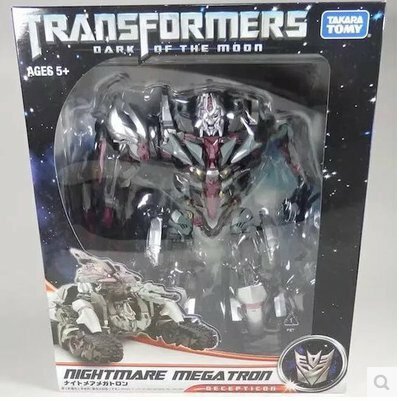 l Recommended age range: 6+ Package included: l Quantity: 1x ACTION Movie Transformers ROTF Voyager CLASS Starscream marvel Figure Newest. Country/Region of Manufacture: China If you have any problems, please do not open the case. You can contact me via message. I will solve your problem. Soundwave is absolutely devoted to Megatron. He uses his ability to intercept any electronic transmission to ensure the supremacy of his leader, and the eventual victory of the Decepticons over the Autobots. Your fierce Soundwave figure is ready to make big trouble for the Autobots! In robot mode, your Soundwave figure can hold the included Laserbeak figure on his arm. Convert him to recon drone mode when he needs to do some stealthy spying for the Decepticons! Keep converting him back and forth so he can handle whatever his enemies throw at him! 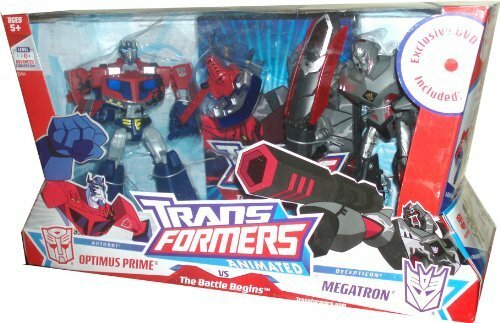 Until now, Optimus Prime never thought he would come face to face with Megatron. 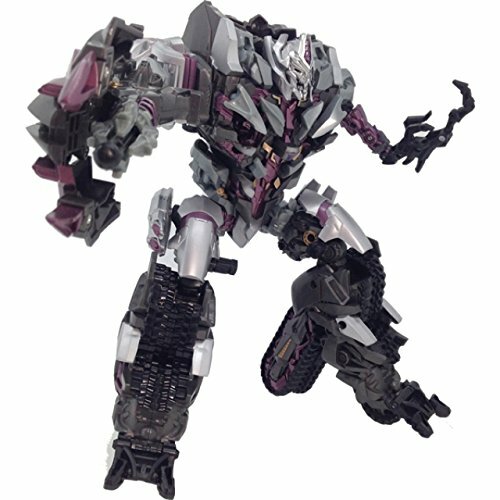 The legendary villain was thought to be long age deactivated, but on Cybertron his power and his evil are still feared. He knows that to face Megatron is to face his own mortality. Megatron, on the other hand, does not know who is this young Autobot is, and does not care. All he knows is that the Allspark is under this fool's protection. If he will not give it up, Megatron will tear him apart to get it. 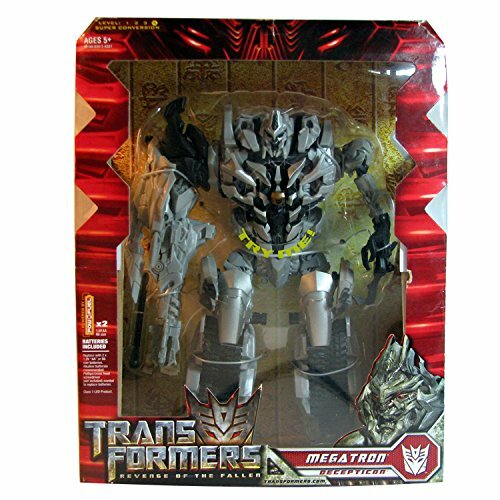 Compare prices on Transformers Rotf Megatron at ShoppinGent.com – use promo codes and coupons for best offers and deals. Start smart buying with ShoppinGent.com right now and choose your golden price on every purchase.